Be On The Lookout! Last night - Tuesday 22 January 2019 - two scooters were stolen from the Dusseldorf show. Clemens Schutzenhofer of Suex stated "This was not a casual, opportunist theft. The thieves came armed with specific tools because both scooters - the 'XJS' DPV and a 'XJT' DPV - were firmly secured with 12mm steel cables. Cosmetically these two scooters look identical. The difference is the battery. The XJS has a lithium-ion (Li-ion) battery and the XJT has a nickel metal hydride (NiMH or Ni–MH) battery. This is not the first time that 'Diver Propulsion Vehicles' have been stolen at the Boot Show. Last year two 'Carbon Scooters' were stolen." The propellers on these scooters were mocked up for the show. They will break if either scooter is dived. In addition both these scooters require a specialist battery charger. 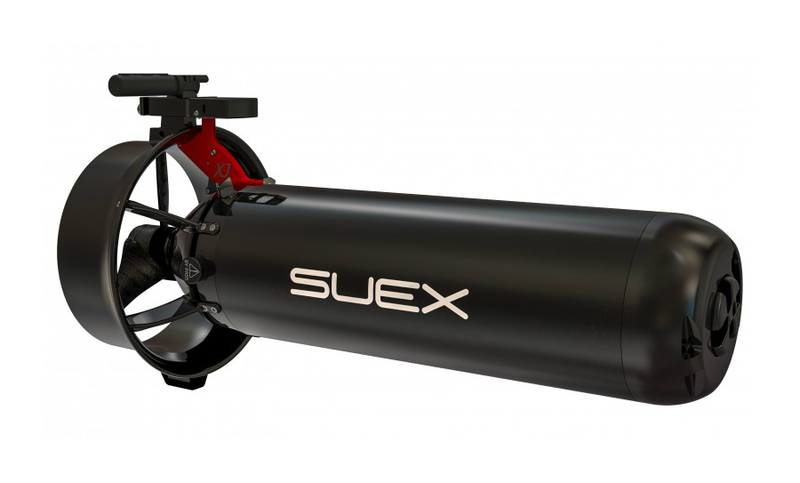 Suex has therefore requested that if you are offered either scooter for sale, or you have a customer wanting to buy a specialist battery charger or a new prop, that you should check the serial number of the scooter. If you have any information on either scooter please contact Suex.